Just 43 birds left – 110 are already claimed by writers! Calling Poets, Writers, Scientists, Academics! Bimblebox 153 Birds needs 43 writers to contribute to this art project which describes the bird species that have been officially recorded at the Bimblebox Nature Refuge. We need a myriad of voices to tell us something about the following bird species that are currently wild and free avian residents or seasonal visitors to the Bimblebox Nature Refuge. WHY? Because the Bimblebox Nature Refuge is under threat from massive coal mining projects both directly over and under the refuge plus all around it, throughout the Galilee Basin. Bimblebox 153 Birds is where writers, musicians and artists creatively engage with the avian residents of Bimblebox. An example of your writing or a link to something you have written. nominate the birds you are interesting in from the list below (list two or more in order of preference in case your first is taken before I hear from you). Add your voice to this project! Now Claimed…Hardhead (White-eyed Duck), Aythya australis. Call: Male soft wheezy whistle and ‘whirrr’; female a loud, harsh, rattled ‘gaak, gak, gakgakgak’. Now Claimed…Australasian Darter, Anhinga novaehollandiae. Call: Voice is a harsh, ‘kar, kar,ka, ka-ka-kakaka loud and slow, gradually more rapid, then fading. At nest, loud, brassy cacklings and clicking sounds. Now Claimed…Brush Cuckoo, Cacomantis variolosus. Call: shrill far-carrying deliberate, usually descending phrase of about 7 or 8 notes, ‘fear-fear-fear…’ repeated shrill rising phrases ‘Where’s the tea Pete’ becoming demented. Now Claimed…Red-backed Kingfisher, Todiramphus pyrrhopygius. Call: Repeated mournful whistle; harsh chatter. Simpson and Day. Now Claimed…Brown Treecreeper, Climacteris picumnus. Call: Stacatto ‘spink spink’; harsh rattle; chuckling songs. Simpson and Day. Now Claimed…Western Gerygone, Gerygone fusca. Call: Sweet, rising, falling, fading. Simpson and Day. 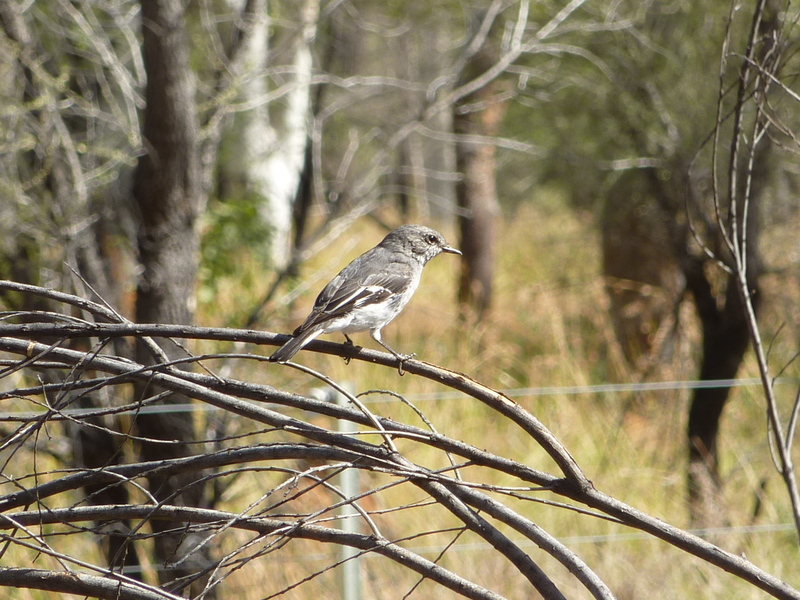 Now Claimed…White-throated Gerygone, Gerygone albogularis. Call: Distinctive falling, tinkling song. Simpson and Day. Now Claimed…Buff-rumped Thornbill, Acanthiza reguloides. Call: Tinkling reel. Simpson and Day. Now Claimed…Yellow Thornbill, Acanthiza nana. Call: Persistent ‘tizz tizz’. Simpson and Day. Now Claimed…White-eared Honeyeater, Lichenostomus leucotis. Call: Jaring descending ‘chung-chung-chung’, mellow ‘beer-brick, beer-brick’. Pizzey. Now Claimed…Grey-fronted Honeyeater, Lichenostomus plumulus. Call: ‘It-wirt, wirt, wirt, wirt’; single sharp note ‘boink’ Pizzey. Now Claimed…Fuscous Honeyeater, Lichenostomus fuscus. Call: Arig-arig-a-taw-taw’; ‘guinea-a-week’; deep metalic rather twanging ‘clitchit-clee-you, clitchit-clee-you’ repeated. Pizzey. Now Claimed…Black-chinned Honeyeater, Melithreptus gularis. Call: Curious high-pitched grating, croaking notes, developed into song. Pizzey. Now Claimed…Varied Sittella, Daphoenositta chryspotera. Call: Song described as ‘tzir, zit-zit, tzir-zit-zat-zit’ Pizzey. 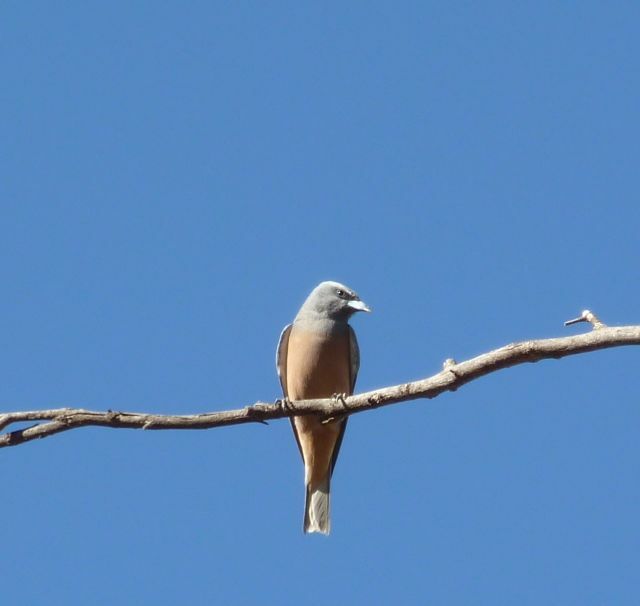 Now Claimed…White-winged Triller, Lalage sueurii. Call: Slightly descending ‘chiff-chiff-chiff-joey-joey-joey’ or ‘deet-deet-deet-dip-dip-dip-dip-drrr’ ending in a canary-like trill. Pizzey. Now Claimed…Little Woodswallow, Artamus minor. Call: A brisk ‘peet, peet’; may be uttered as a series of three or four evenly spaced notes or as a single note followed by two quick notes; more rarely as four high pitched notes. Pizzey. Now Claimed… Australasian (Richard’s) Pipit, Anthus novaeseelandiae. Call: Brisk splintered ‘pith’ or rasping drawn-out ‘zwee’. Pizzey. Now Claimed…Tree Martin, Petrochelidon nigricans. Call: Dry little ‘drrrt drrrt’ and animated twittering song. Pizzey. Now Claimed…Fairy Martin, Petrochelidon ariel. Call: Distinctive chirrup; also sweet twittering.Simpson and Day. 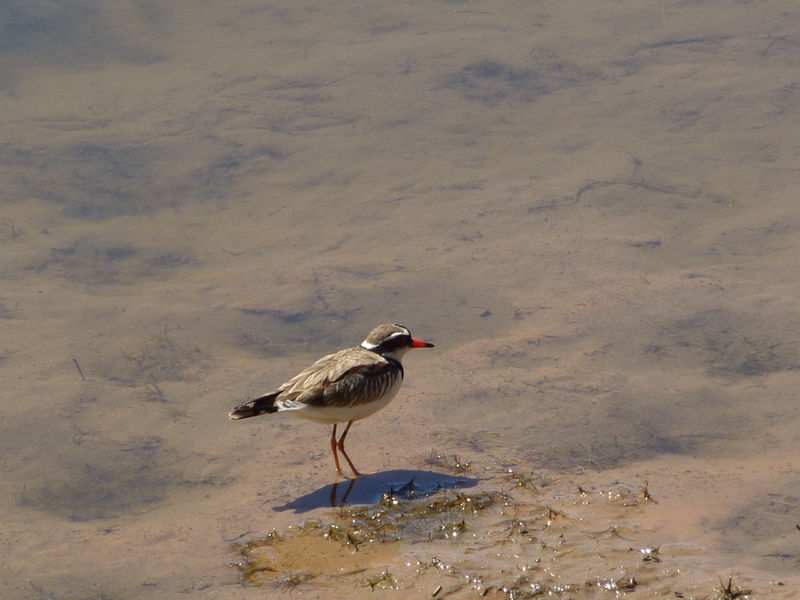 Now Claimed…Rufous Songlark, Cincloramphus mathewsi. Call: Song has a sweet, splintered, almost ventriloquial quality; often begins with a clear loud trill, then develops into full refrain, ‘a-witchy-weedle’, repeated. Pizzey. Further details: For Bimblebox 153 Birds the completed written piece would be less than 200 words and you would be asked to submit an audio of you reading or reciting your piece. Bimblebox 153 Birds project description. For a full list of bird species currently identified at the Bimblebox Nature Refuge. Musicians on 153 birds – You can find the musicians and their recordings on Alison Clouston and Boyd’s website here. Writers, I look forward to hearing from you!